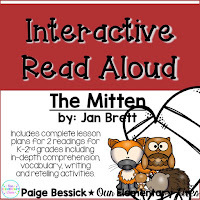 Interactive Read Alouds are one of my favorite things to do in the classroom, as you may know. 😉 I love doing them with my class, but they can be a pain to prepare for. 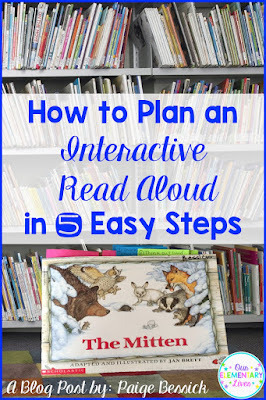 Read on for 5 easy steps for preparing an Interactive Read Aloud. 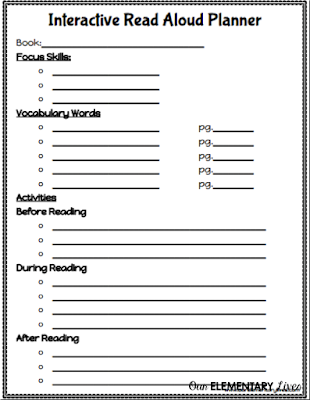 Plan before, during and after reading activities. The very first thing you're going to want to do is pick a book. 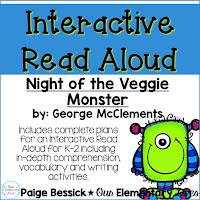 Whether it's a mentor text for your reading or writing lesson, or your students need practice retelling or identifying the story elements, there are so many good books out there. You need to pick one that works with the skills you want to teach. The listening level of your students. The book does not have to be at their reading level, but it DOES have to be at their listening level. Some picture books will be too easy for them and some will be too hard. The vocabulary level of your students. Just as you wouldn't want to read a book way over your students listening level, it's important to keep their vocabulary level in mind. 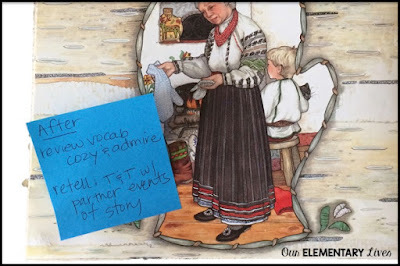 If you have ELL students you will want to pay particular attention to the vocabulary. If they don't understand the words of the book, you cannot expect them to practice focus skills because they will be too busy trying to comprehend. Is the book good literature? We all know those books that are not very high-quality. We always want to share books that set a great example for literature. Is the book fun and entertaining? If you are excited to share a book with your students, they will be excited to listen and participate. If you are not, then they will not be either. They react to books how you react to books. If you're looking for great books, check out this list HERE from the Teacher's College Reading and Writing Project from Columbia University, New York. If you use reading or writing workshop, this is an especially great list. Once you have picked your book you're going to read that book many times. Get to know and love that book. You will typically do two readings with an IRA so you want to make sure it's a good, quality book and one you don't mind reading over and over again. Believe me, if it's not a book you don't love, you're not going to want to do that IRA with your kids and they will definitely feel the way you do about that book. Like I said earlier, it is so important to express your love for every book you read so your students will feel the same way. Act as if it's a treasure to share this book with them. 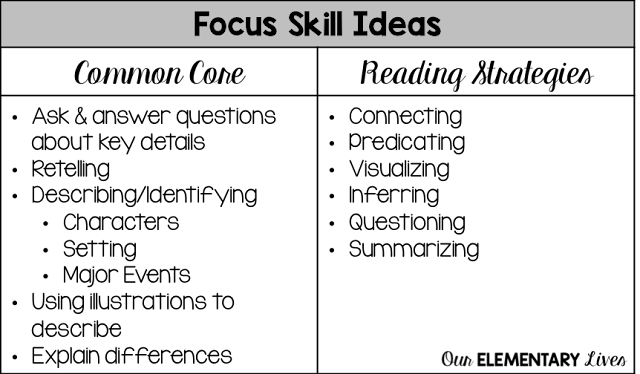 A focus skill can be whatever you want to work on with your class. There are endless amounts of skills you can focus on with an IRA, it just depends on your class and your students. When you are picking focus skills I would suggest keeping it to 2-3. You do not want to have too many because then the students are not getting explicit instruction and practice. 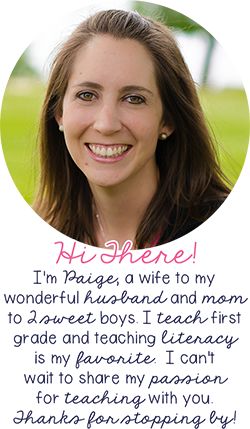 Depending on whether your book is fiction or nonfiction will also determine the focus skills. I typically will do an IRA twice with the same book, so if you want to have different focus skills for each time reading that works too. When I plan my IRAs, the first one will typically focus on predicting, connecting and vocabulary. 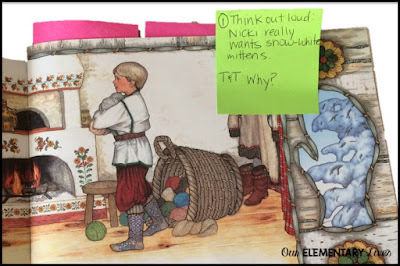 The second reading I will often have a more common core focus where the students practice describing the story elements and retelling. Those skills are easier to practice after they have heard the story a couple of times. 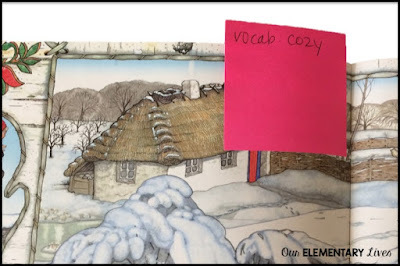 The next step you're going to want to do is determine some key vocabulary words from your book. One of the best things about an IRA is the vocabulary instruction that happens. I would suggest picking 2-4 words that students will need to know in order to understand the book. Explain the meaning with kid-friendly definitions and pictures. 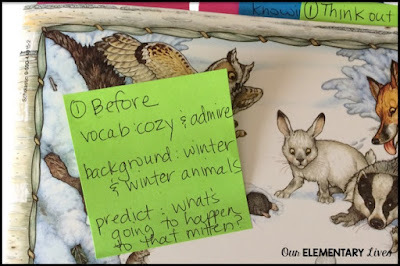 If you have a high number of ELL students in your classroom, like I do, I typically pre-teach the vocabulary words before we start reading. That way when we come to them, they will already have an idea of what the words mean and will better be able to understand them and add them to their own vocabulary. If you do not, then I will teach the words as they come up in the book. That way the students can predict what they think it means and use context clues to determine the meaning. That is a very hard skill, so I like to make sure we practice it as much as we can. Check out this fabulous article from Edutopia called Doing It Differently: Tips for Teaching Vocabulary. The last thing you're going to prepare are the activities you want to do before, during and after reading. When you're picking activities, be strategic about when and where you do them. You don't want to stop too many times but you also want to stop enough so you can work on your focus skills. Here are my activities for before I read the first time. I will often do all of these really quickly, as I find them all very important to do before reading this book. Respond to text & make it interactive! 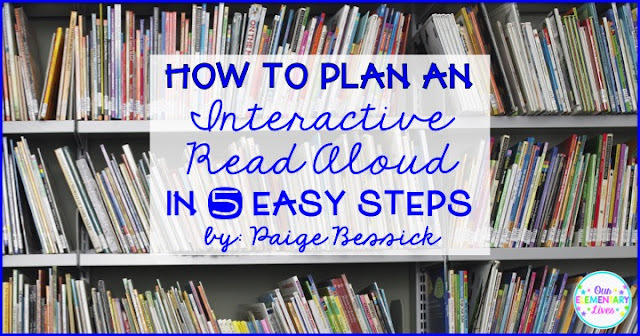 There are many ways you can make it interactive. Here are some of my favorites: turn and talks (T&T), act it out, opinion (thumbs up/down), stop and jot/draw, class discussion. 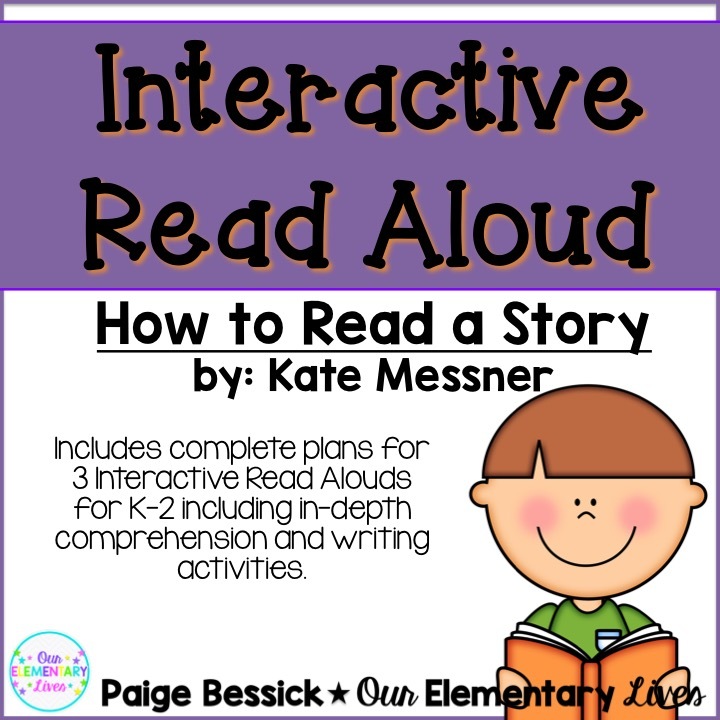 Here's a sample of my first (1) reading with my thinking out loud and my activity, a turn and talk. And here's an example from my second (2) reading with my think out loud and activity, an act it out. I typically put all of my options for activities after I read on one sticky note. That way I can do one or several depending on how I felt the reading went. 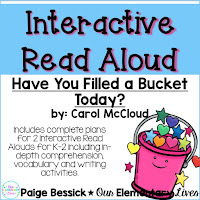 Now, these are not all the things you can do before, during and after a read aloud. I have planned a 3 part series for things you can during IRAs, but these are definitely great places to start. When you are determining your activities, take sticky notes and write your thoughts on them and the activities you want to do and stick it on the page you're going to do it on. That way, as you're reading, your thoughts and notes are right there and you don't have to remember what you wanted to teach. 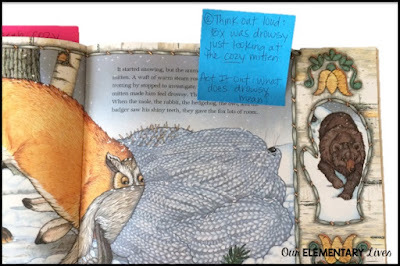 If you're doing two readings, do your sticky notes in 2 different colors to keep track of what to do during each reading. I have created an IRA planner for you to use to help you prepare. I will use this planner before I do my sticky notes that way I have my thoughts and ideas all in one place before writing out my sticky notes. Click HERE or the picture to get this planner to help you plan your next IRA. Now, if you're really looking for easy IRA planning, I have done it for you for some of my favorite books. Click on the images below to see the resources I have made where I have planned 2 complete IRAs for you. These are some of my favorites. Click on the pictures, or click HERE to see ALL of my IRAs. So that's all I have for you today! 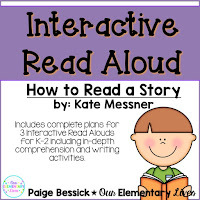 I hope you found it helpful and will try to plan your own Interactive Read Alouds. Until then, please share and pin if you found this helpful. This has helped me so much. We have the link on our plans to better help us all!! !